1 hour scenic flight over lake Eyre & expedition to the lake’s shore , Clare Valley wine tasting, Flinders Ranges, Wilpena Pound, Brachina Gorge, Oodnadatta Track, Coober Pedy, Breakaways, guided tour of the Arid Lands botanic Gardens. Lake Eyre is the lowest point in Australia, at approximately 15 m (49 ft) below sea level and, on the rare occasions that it fills, the largest lake in Australia and the 18th largest in the world. The temporary, shallow lake is the depocenter of the vast Lake Eyre Basin and is found 700 km north of Adelaide. Join us on this magnificent journey into South Australia’s far north, taking in the rugged landscapes of the Flinders Ranges and the outback, including Coober Pedy, as we travel up through this spectacular region. Pick up from your Adelaide CBD accommodation or central bus station at approx 7.00 am and head north to the Clare Valley which is well renowned for its excellent wines, with time to visit the Seven Hill cellars, the oldest winery in the region established by the Jesuits in 1851. We travel to Melrose, a lovely little town nestled in the foothills of the Flinders Ranges where we stop for lunch. Driving further north we arrive at Quorn which became the junction of the Sydney-Perth and Adelaide-Darwin railway systems in 1917. After visiting Jeff Morgan’s Wilpena panorama in the town of Hawker, we arrive late afternoon in time to see the sunset over Wilpena Pound as kangaroos and wallabies come out to feed. Tonight enjoy a campfire (fire restrictions permitting) and barbecue, o/n en-suite accommodation Rawnsley or Outback Chapmanton Hotel. After breakfast we take a walk along the beautiful Wilpena Creek framed by huge river red gums, up to the Wangara lookout where we can see the mystical heart of the Flinders Ranges with stunning views over Wilpena Pound. 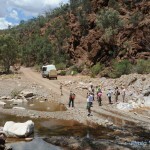 Continuing our journey exploring Brachina and Bunyeroo gorge we discover their priceless geological treasures, crystal clear water holes and an abundance of flora and fauna including the rare yellow footed rock wallaby. We will have lunch at the Parachilna Hotel before travelling into the desert country up the Oodnadatta Track. We follow the old Ghan railway line and arrive at Lyndhurst to explore the ochre cliffs followed by a visit to Talc Alfs Gallery. Late afternoon we arrive at Marree, a town at the junction of the famous Birdsville Track which is still populated by descendents of Afghan cameleers, and with a rich history as a staging post for the large camel trains carrying goods in the early days. O/n en-suite accommodation Marree. 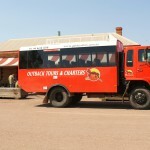 You will be staying in an ensuite cabin and be welcomed with the friendly hospitality of the outback. We start the day with a visit of the Arabanna Aboriginal Centre (if open)with its display of art, weapons and local information, back on the Oodnadatta track we explore artesian spring’s ecosystem, arriving at the shores of Lake Eyre, to marvel at this inland sea. This is followed by lunch at William Creek. 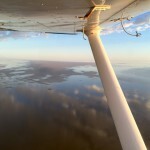 We then enjoy a captivating scenic flight over Lake Eyre North, the best way to fully enjoy the vastness of this amazing place. 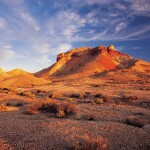 We then head for the opal capital of the world, Coober Pedy. We will travel past the famous dingo fence and through the world’s largest cattle station, Anna Creek, before arriving in Coober Pedy, o/n Hotel en-suite accommodation. This morning we start with a guided tour explaining the history of Coober Pedy and a 20 minutes award-winning documentary presented in an underground theatrette on three panoramic screens. 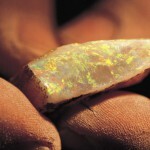 We will learn about the opal industry including an opal cutting demonstration. This will be followed by visiting an underground dugout home and the Serbian underground church. We then head out to the breakaways reserve, a colourful land formation derived from the evaporation of an inland, ancient, Australian sea. We return to Coober Pedy for lunch via the dog fence and the moon plains. Heading along the Stuart Highway, with tracts of desert scenery stretching out as far as the eye can see. We stop at Glendambo and then arrive at Woomera which was one of the world’s busiest launch site for testing rockets and missiles during the 1950’s and 1960’s. O/n Eldo Hotel en-suite accommodation. This morning we depart for Port Augusta, situated on the quiet waterways at the head of the Spencer Gulf. 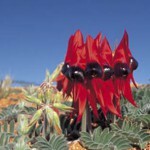 On arrival we will enjoy a 1 hour tour of the Arid Lands Botanic Gardens.The Garden showcases a diverse collection of arid zone habitats in a picturesque setting of more than 250 hectares. After lunch we head south and stop at Port Germein, once an important transport hub for the surrounding districts following the opening of its jetty in 1881 – at the time known as the longest jetty in the Southern Hemisphere (1680m, about 100,000 bags of wheat were loaded per year). We arrive in Adelaide at around 6.30pm and drop you off at your hotel.